Is this your first trade show or convention? The details can be overwhelming. Is this your TENTH trade show this year? Then you KNOW how complex the details can be, especially as the date fast approaches for your next event. E&E Exhibit Solutions helps with every aspect of event planning from determining the viability of a particular venue to the creative design of your trade show displays and coordinating display graphics, packing, shipping, set-up and storage. Put the event management details of your next trade show in the capable hands of the award winning, professionals at E&E Exhibit Solutions. As a complete solution provider, E&E Exhibit Solutions can assist you by shipping to your shows, utilizing E&E trained and experienced labor crews to set up and take down your booth, and storing your exhibit properties in our climate-controlled warehouse in AZ. Our storage clients also have access to their properties online through our web-based event management system. 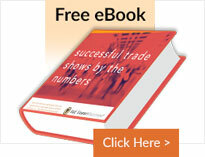 Shipping your trade show displays to your events. Installation & Dismantle Labor: Hire a highly trained professional labor crew to set up and take down your E&E trade show booth. And E&E Exhibit Solutions offers a complete line of exhibit rentals.